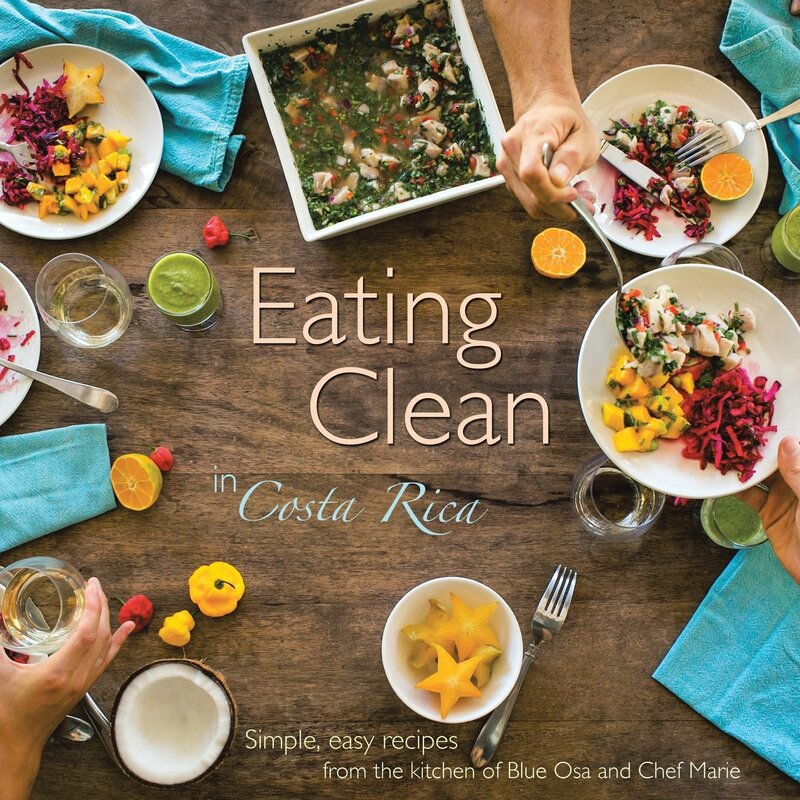 The recipes in this book are from a retreat and spa in Costa Rica called Blue Osa. They aren't necessarily traditional Costa Rican foods. In fact, as I browsed through the book, it seemed like the recipes could be from just about anywhere. The author points out that she's cooking "in the middle of the jungle" so she can't get things that are common in supermarkets, so she has to rely on what's available locally. That makes sense. Then she goes on to say that she created a "original cuisine" with French flair. So there you go. If you go to the spa, this is the sort of food you might expect to eat. Among other recipes in the book, there was quiche Lorraine, black bean soup, puttanesca sauce, vegetarian pad Thai, blinis, and lemon meringue pie. There are some recipes that have more of an island flair, featuring coconut, mango, or other tropical fruits, but many of the recipes are from pretty far-flung locations. The recipes are fairly simple, but there are some instructions that could be confusing. In some cases, oven temperatures are in fahrenheit, while others are centigrade. Many measurements are in grams or milliliters, but there are also teaspoons and tablespoons. One recipe called for "one can" of tuna without specifying what size can and another asked for "one glass" of white wine. If you're used to cooking by taste, these sorts of things shouldn't be a problem. Another recipe called for separating eggs, but the yolks were never used. That was a recipe for "macaroons." If it was supposed to be a recipe for macarons, they don't use yolks, so the instructions were correct. But it would have been clearer if the instructions had said to just use the whites and save the yolks for something else. Or perhaps there's something called a "macaroon" in Costa Rica that isn't either a macaron or the macaroons that have coconut in them. I'm really not sure. I'm not saying this is necessarily a bad book. But if you're looking for Costa Rican food, this might not be the book for you. And if you do make these recipes, be prepared for instructions that might not be perfectly clear.